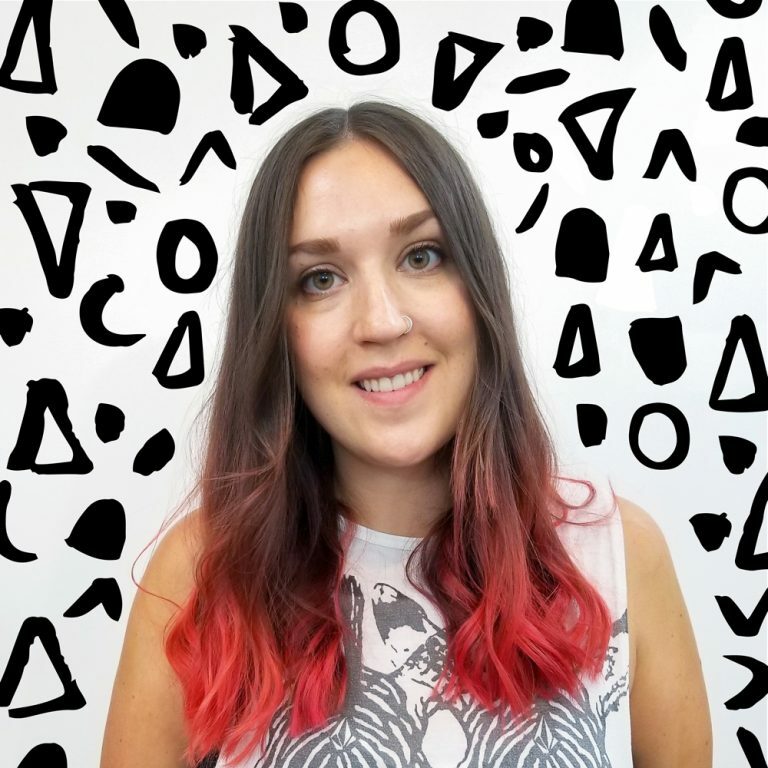 I have been waiting to share this post with you for a while now, and here it finally is! 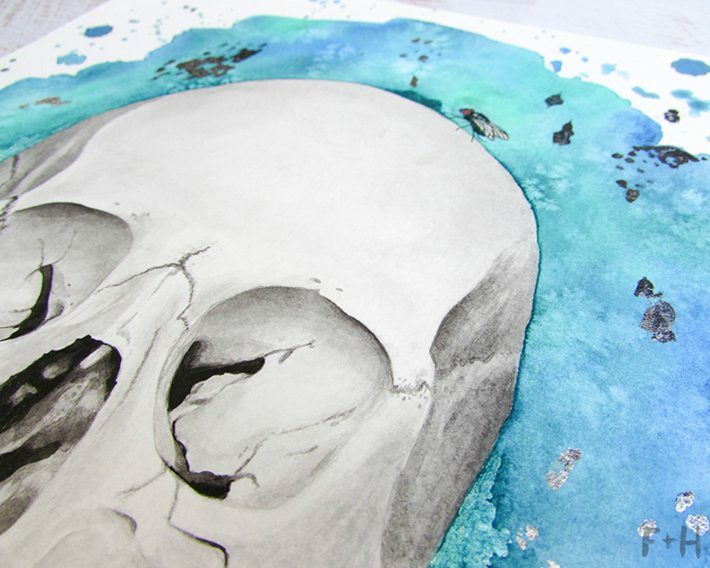 This watercolor skull painting was a commission I did about a month ago for a really wonderful client in Florida. 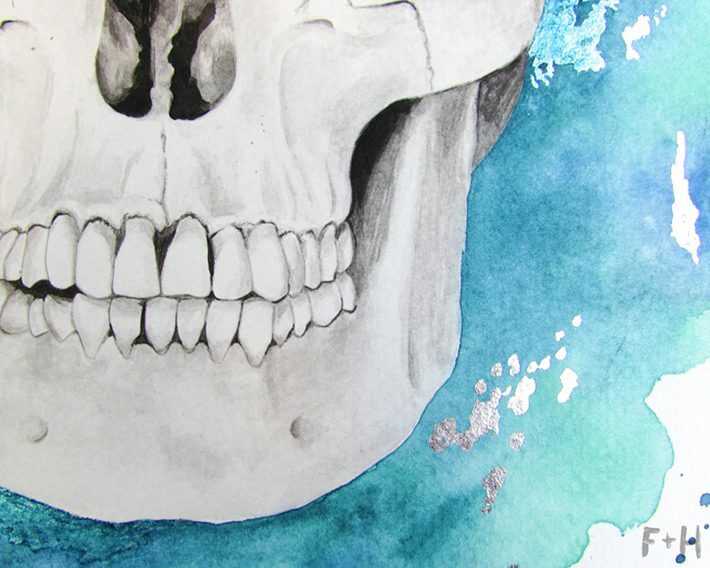 She contacted me to paint this for her as a sort of celebration for completing her Ph.D. in Decomposition. She’s a forensic scientist and as soon as she mentioned a skull, I was all in! 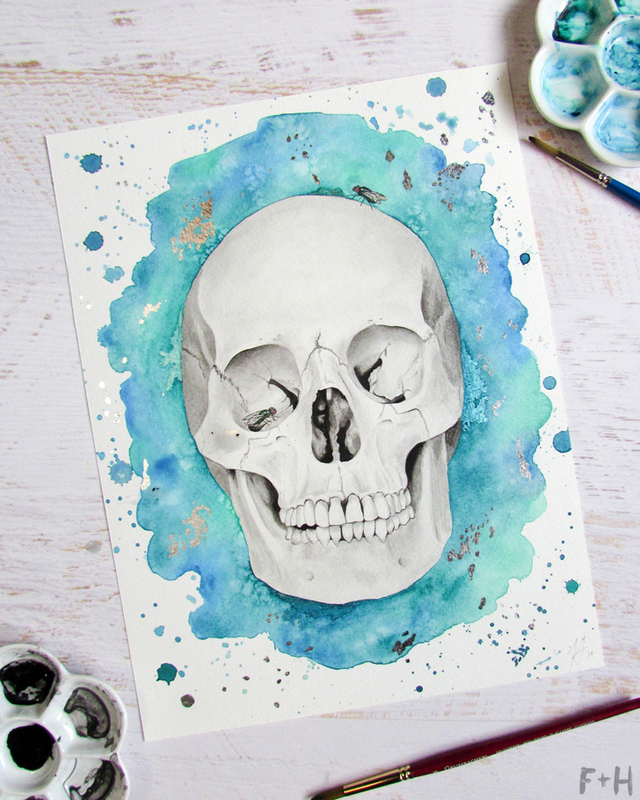 Creating commissioned artworks is one of my favourite parts of my job, and this watercolor skull painting is probably my favourite I’ve done in a long time. 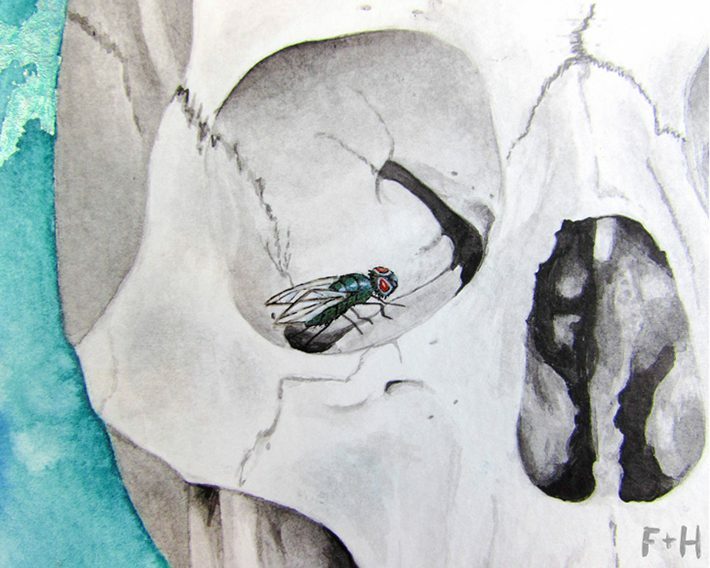 The client requested a female skull with blowflies on it, and a turquoise background to compliment her office. The finished size is 11″ x 14″ so this bad boy was a great size to work on. 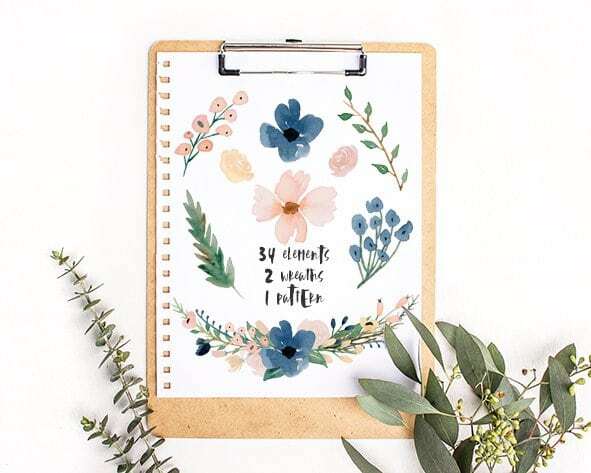 Big enough to get details, small enough to not feel overwhelmed by it. We also decided to add some silver leaf in the watercolor background and painting over some parts of it to create a cool subtle effect. 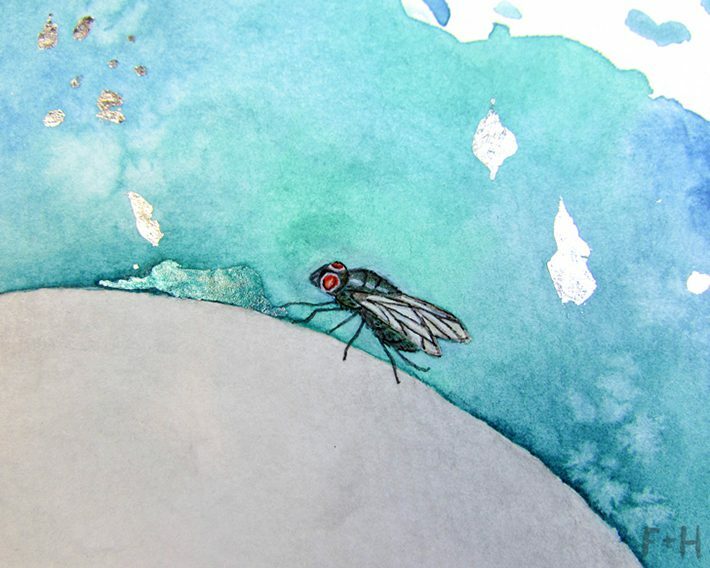 I think the blowflies turned out to be one of my absolute favourite parts of this! I have never painted insects before, so it was all new to me and I totally enjoyed it. I created them larger than they are in real life so they popped off the image more. Want to commision your own Fox + Hazel original painting? Send me an email at [email protected]. 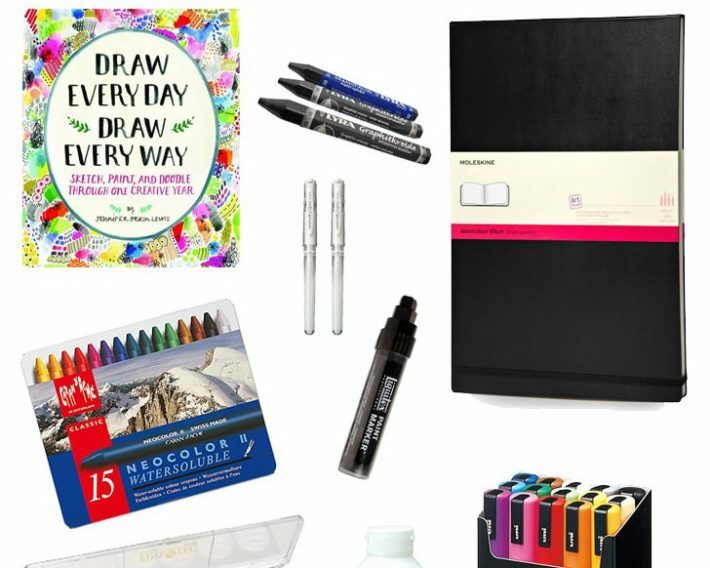 Creating custom artwork is a joy of mine, and I would love to help bring your ideas to life! 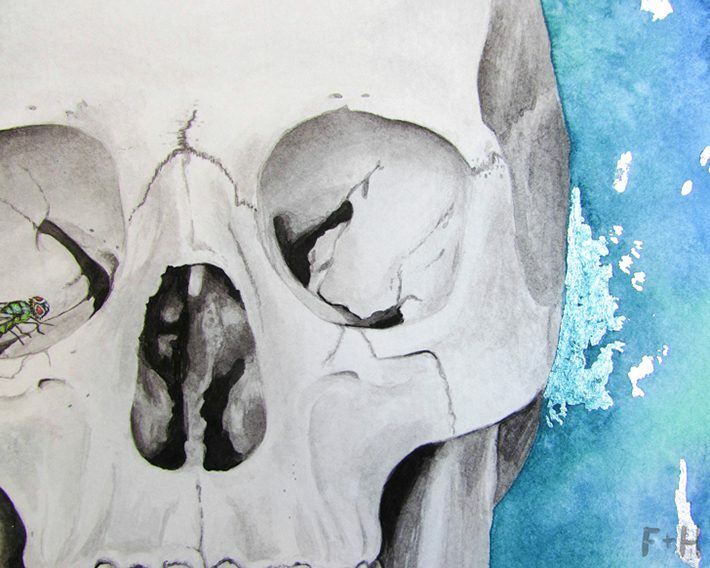 Just really love you some watercolor skull artwork? 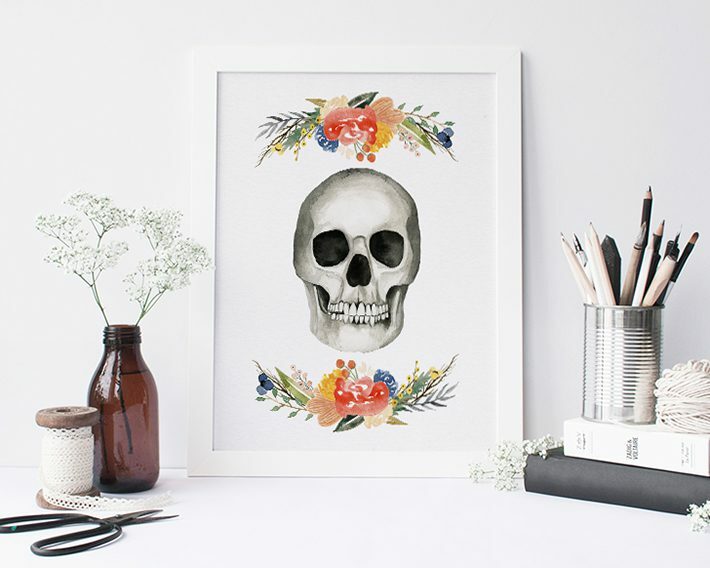 Go download this free floral skull printable I created last year and deck out your space!